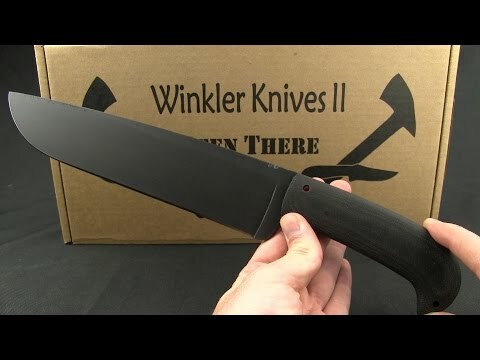 The Camp Knife from Winkler Knives is built for hard outdoor use. 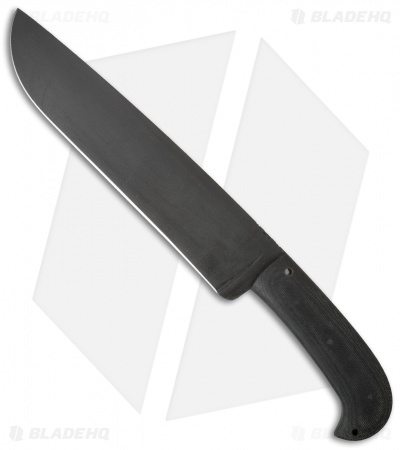 It has a no nonsense design that features a 10" full tang blade made from 80CRV2 steel. The blade has a razor sharp flat grind and a black caswell non-glare finish. Black Micarta handle scales provide a secure grip with a rubberized texture. 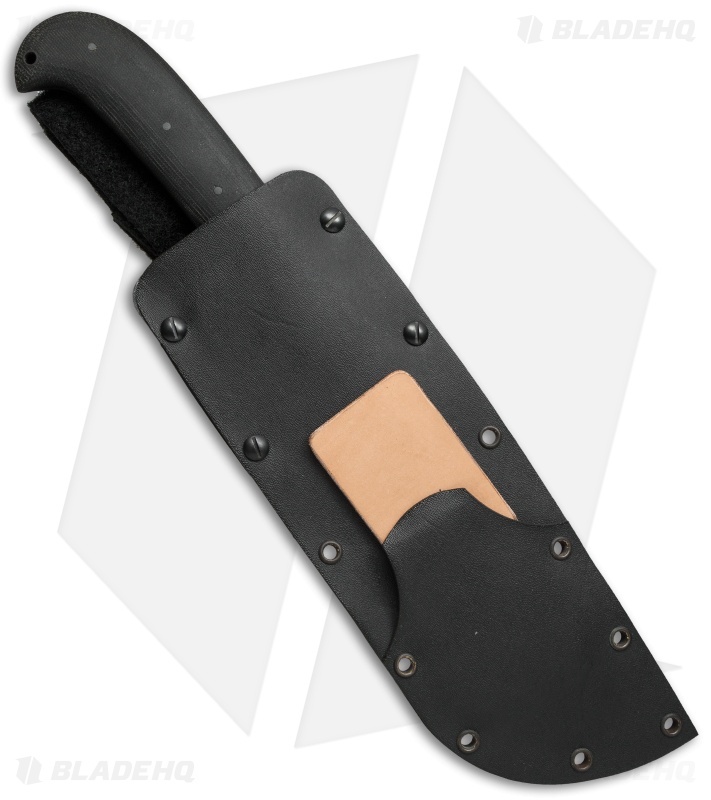 The knife includes a heavy duty kydex sheath with an attached sharpening stone.